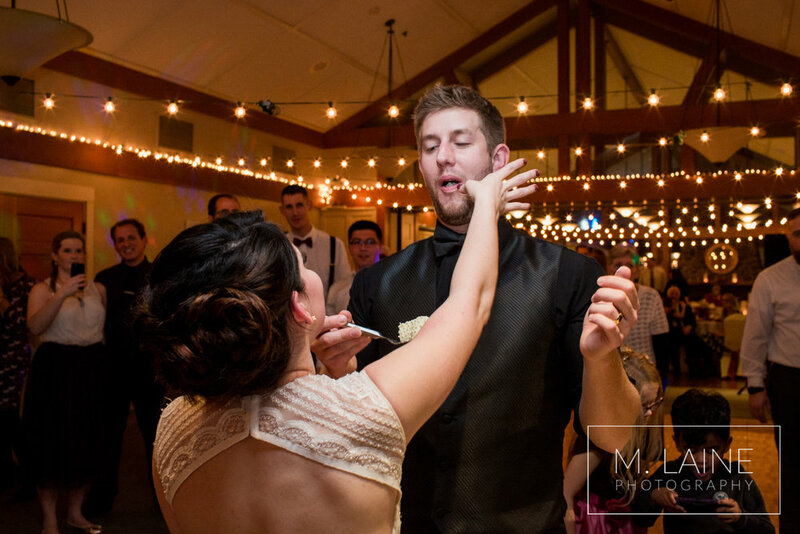 Megan and Garrett's wedding was so much fun! 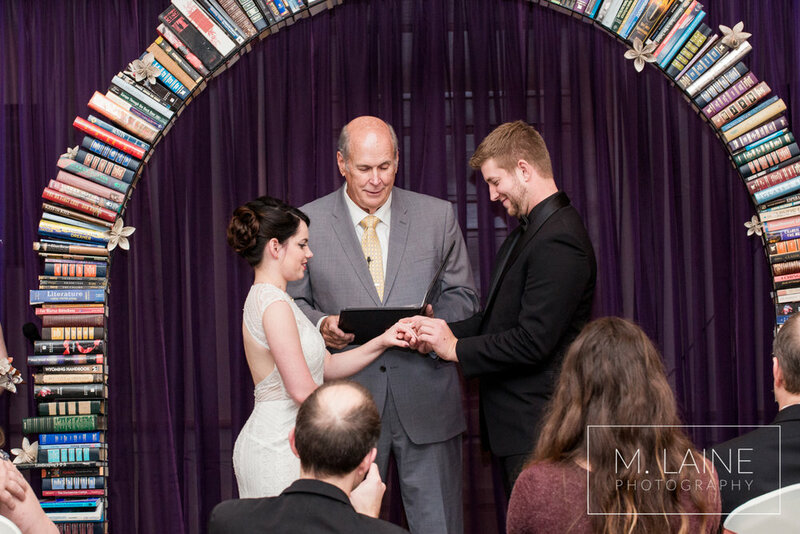 They added so many personal touches to their day, from their hand written vow books to the book arch Garrett made! I loved their nerdy theme (Megan's own words!) of books that took over McCormick Woods Golf Club. 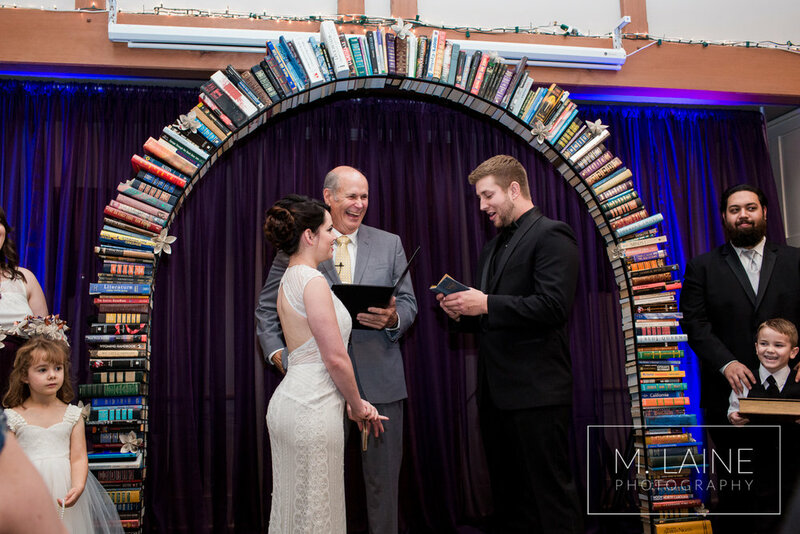 Every table displayed one of their favorite authors, with the bride and groom table displaying Tolkien. 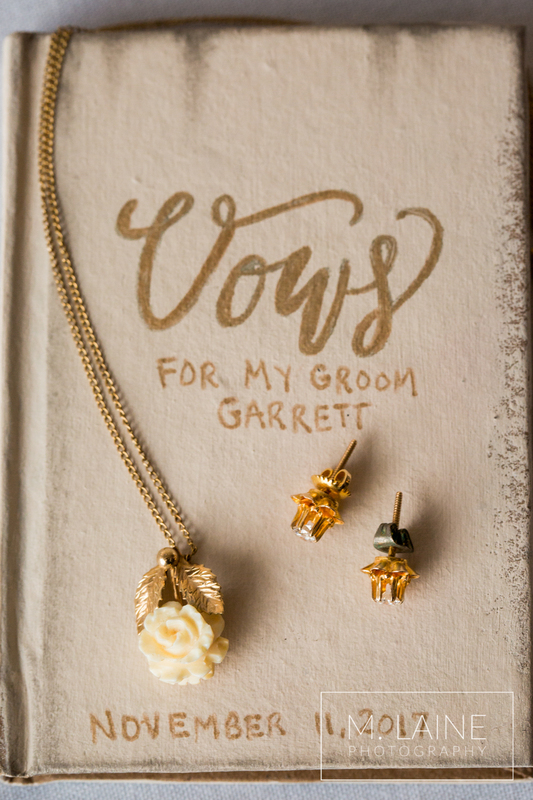 Coincidence that Garrett's wedding band has Elvish on it? I think not. 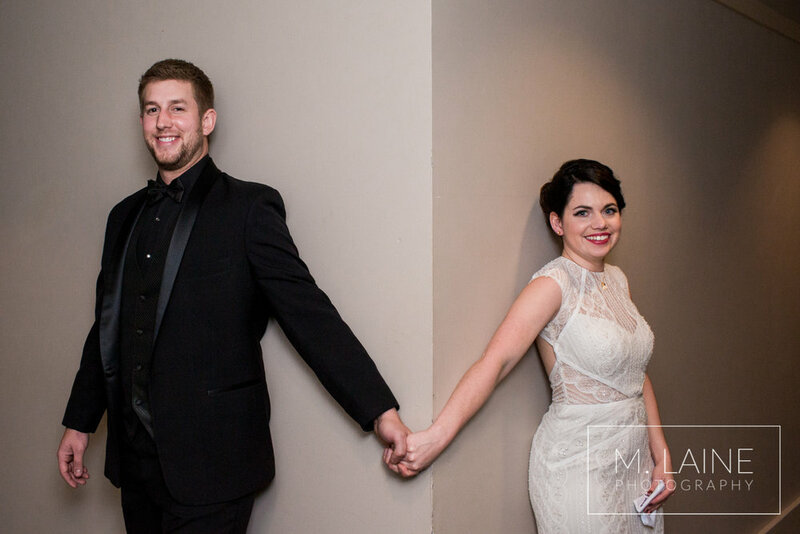 Megan and Garrett didn't want to see each other before the ceremony, so rather than a first look they chose to have a 'first moment'. They held hands around a corner and exchanged gifts, without seeing each other. 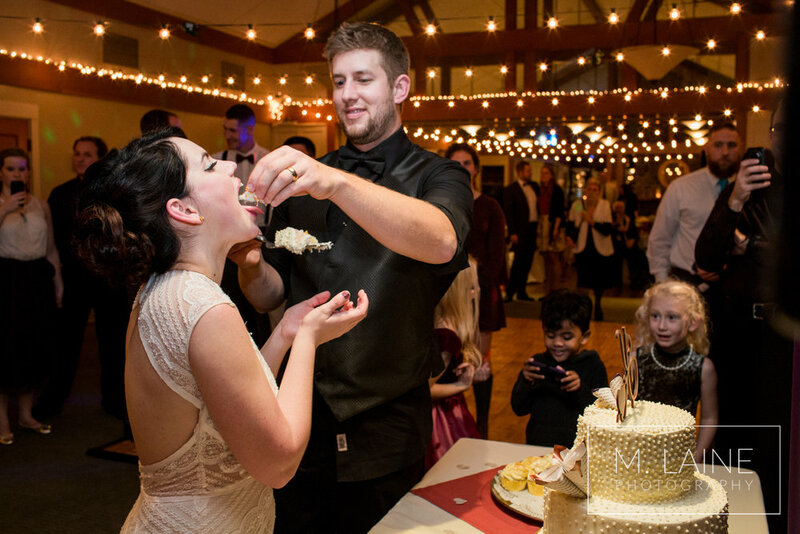 It was the perfect way for them to slow down and cherish the moment before the celebration began. My favorite part of the whole day was their first dance. 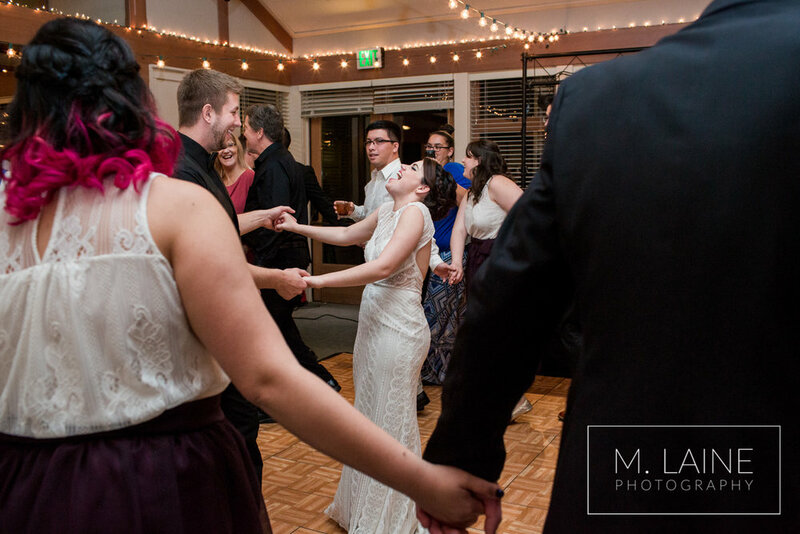 I had never experienced a German tradition called a Grand March before and it was a blast! Megan's grandma and grandpa led the dance, followed by Megan, Garrett and all of their guests. 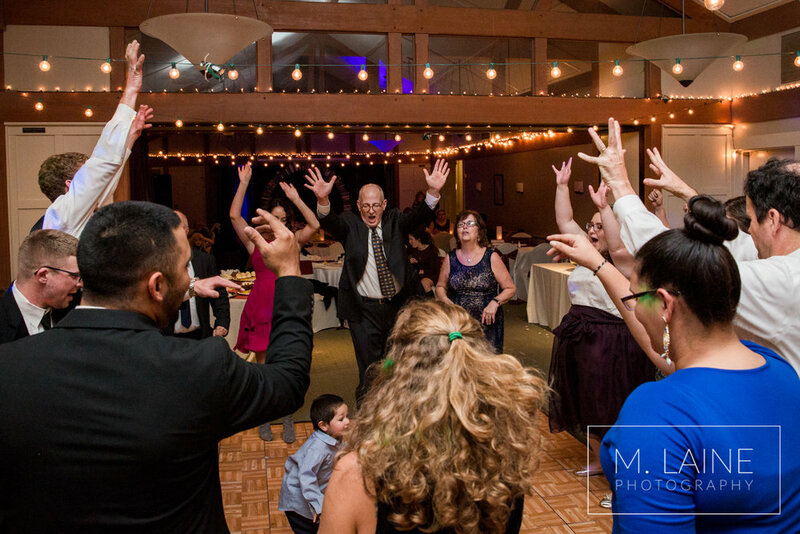 After looping around the room, funneling everyone through a tunnel, the march formed a chain of family and bridal party members surrounding the couple for their first dance. 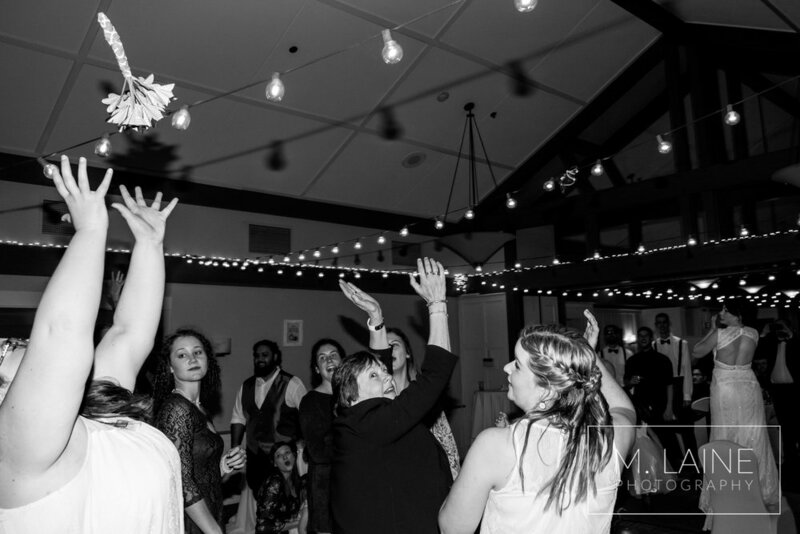 The chain of friends and family circled around them as their dance began. Every so often shouting ensued and they barraged Megan and Garrett, squishing everyone in the middle until they faded out to form a circle again. I have never been a part of a first dance that involved everyone in attendance or was this much fun! Megan also had one random photo request that you'll notice it near the end. 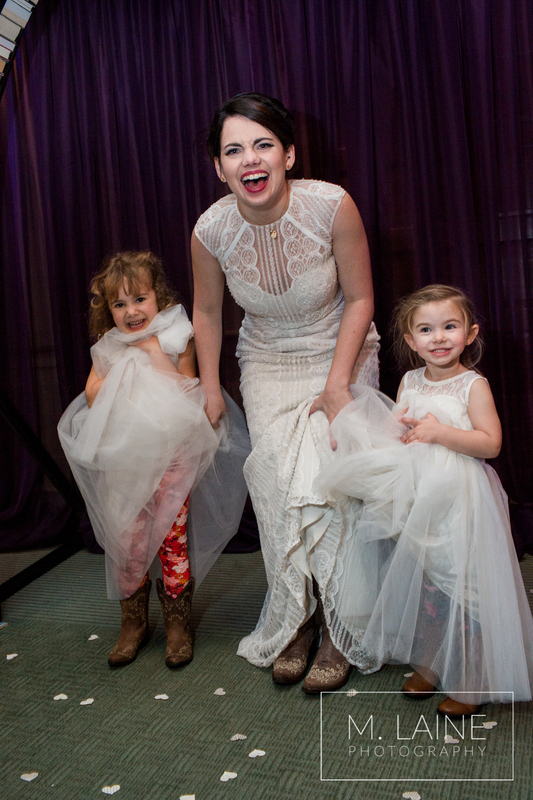 One of her flower girls thought the point of the wedding was for her to marry Megan, not Garrett. Being four years old, they explained the wedding to her, but she insisted that she was going to marry Megan. To capture this memory, we staged a photo of Megan and the flower girl taking off, leaving Garrett behind. 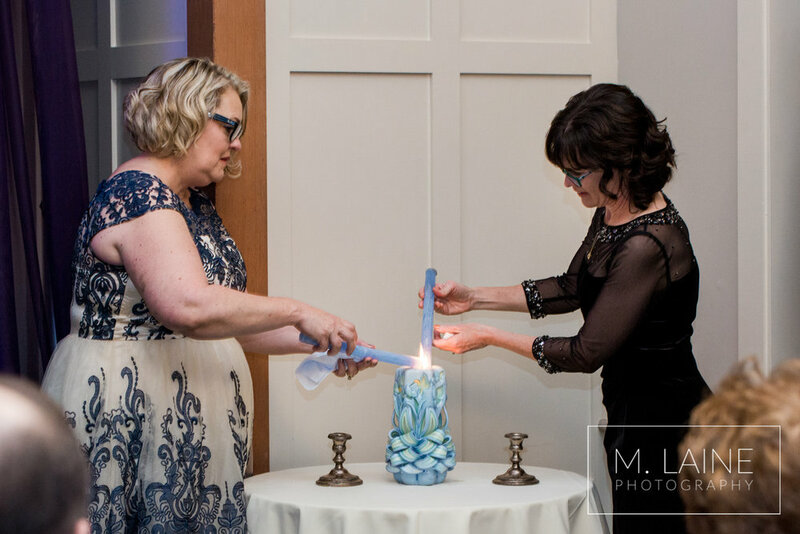 Enjoy reminiscing about your big day and congratulations Megan and Garrett!